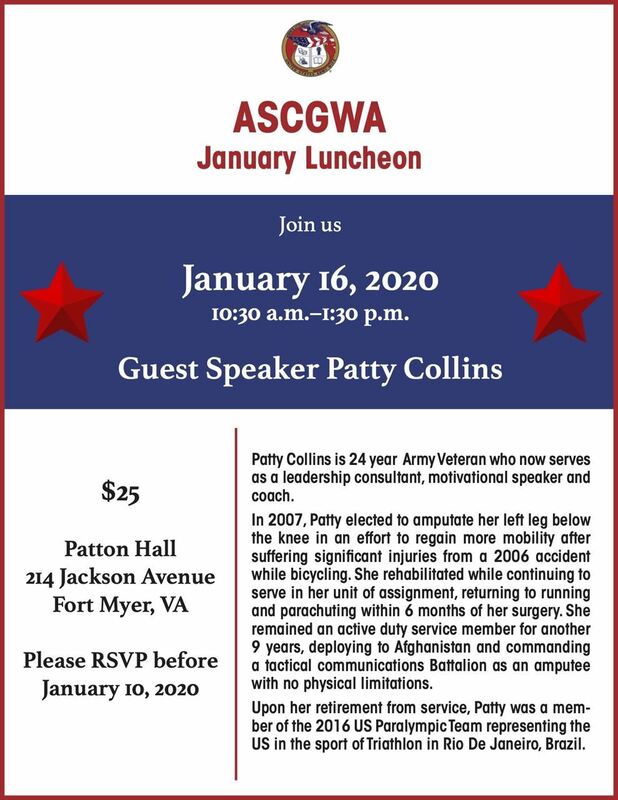 Army Spouses' Club of the Greater Washington Area - Join us for our January Luncheon! Use this registration if you are an active, paid ASCGWA member for the 2018-2019 club year. ASCGWA members will be able to add additional guests as part of their registration. Use this registration if you have paid for a PERMANENT Reservation for your luncheon and would like to pay for a guest to attend. There is still time to register for our club's Birthday Party on January 17th. You won't want to miss out on all of the fun - cupcakes, a custom treat to take home, and the inside scoop on the National Army Museum. Guests are invited to wear hats, gloves or retro fashion.